Man made a woman artistically by giving natural look. 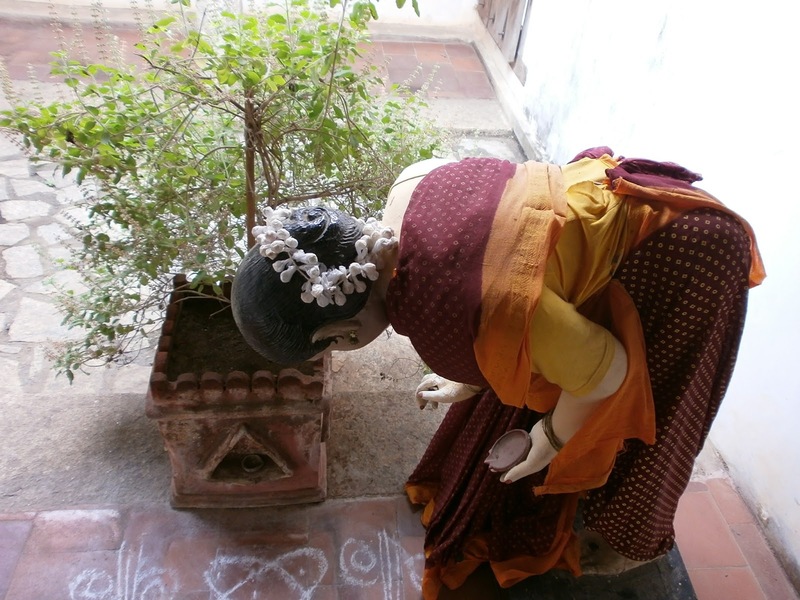 The below image shows an old lady doing the traditional work nearby the Tulsi madam by putting the kolam and lightning the lamp. But it's not true. If you zoom the image, you will notice the creative work of a man who made this statue look natural. He made the lady statue using artificial materials and decorated her as a real lady. What a beautiful creation! This image was taken at DAKSHIN CHITRA, ECR Chennai.